Each year, millions of Americans are homeless, and over a million of those are children. Families with children are making up more and more of the homeless each year. 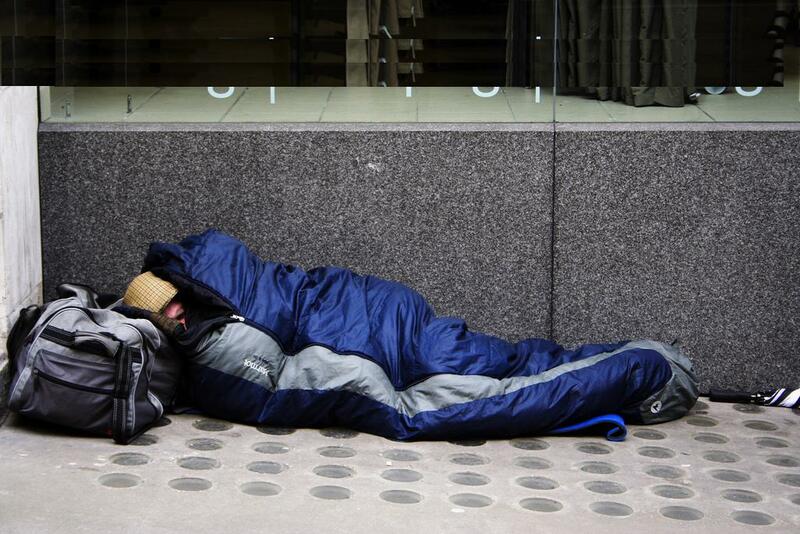 The causes of homelessness are varied and complex. They can include life changing events or series of events that the individual had no way of planning for or recovering from. Tragedies which can result in homelessness include unexpected layoffs, divorce, familial abuse, and arguments with family or friends. 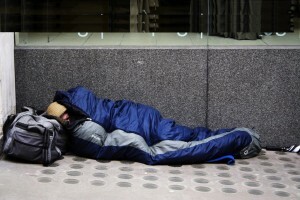 Mental and physical conditions can also contribute to homelessness. Depression, schizophrenia, cognitive impairments, post traumatic stress disorder, and physical disabilities can frequently lead to an individual becoming homeless. Any one of these factors could be the cause, but many people suffer from multiple problems which lead to losing their homes. Living in poverty, or near-poverty, often precedes homelessness. That’s because for those living in poverty, even a relatively minor financial emergency could result in homelessness. For example, if an impoverished person’s car breaks down and they lose their job due to lack of transportation, they may quickly become homeless. Divorces, especially between married couples with children, can result in numerous family members becoming homeless. Foreclosures are another leading cause of family homelessness, and foreclosures can themselves be brought on by illness or loss of transportation which affect income. Sometimes homelessness is caused by something completely outside of human control or influence. Sweeping natural disasters, like floods, earthquakes, and hurricanes, can result in people losing their homes and jobs. Often, repair is impossible, or companies simply leave the area, forcing individuals and families to take to the streets for survival. Once an individual becomes homeless, it can be extremely difficult for them to return to their former quality of life. If the person is suffering from no psychological or physical ailments, they still must contend with the fact that many employers will not hire someone who is homeless, they have no way to wash clothing for job interviews, and probably don’t even have the resources to bathe themselves without some sort of assistance. For those who do have significant physical or mental illnesses or injuries, remaining homeless is a near-guarantee unless someone intervenes. First and foremost, the physical and mental well-being of the homeless must be addressed. The severely depressed, the schizophrenic, the diabetic, and the malnourished must receive treatment in order to live functional lives. Treatment is not as simple as a doctor’s office visit in most cases. Some clients may require lengthy counseling sessions. Others may need to take medications. Some may need to be hospitalized, at least temporarily. Treatment compliance can also be a problem. For those who are diabetic but suffer from an alcohol addiction, both issues must be treated concurrently, and the patient may not comply. Schizophrenics often have difficulty complying with their treatment plans, not because they don’t want to, but because they are unable to remember to take their medication without supervision. Many homeless people suffer from addiction. While addiction can be a cause of homelessness, it more often is a result of being homeless. Unable to find comfort anywhere else, the homeless may turn to drugs to escape or even to self-medicate. Addiction treatment is an absolute necessity if a person has a substance abuse problem. An addiction could lead to an individual failing to keep a job, being thrown out of a halfway house, or being arrested. It can also interfere with treatment for medical problems. Addiction issues must be resolved early on, or it can be difficult to tackle other obstacles. Because a homeless person needs some sort of housing in order to prepare for job training, apply to jobs, and to maintain their health and treatment programs, it’s advisable to arrange housing as soon as possible. But most homeless people are not immediately prepared to handle the responsibility of market-value housing, and don’t have the resources to do so. Temporary housing, first in shelters and then in transitional housing, can be a solution. Job training can make a big difference in the life of someone who is homeless. Without employable skills, it can be impossible to find a job, especially if the person has little to put on their resume in terms of experience. Not only can job training help a homeless person get a job, it can often help them to get a better job than they had before. Learning to manage a paycheck, rent, and grocery shopping can be difficult for someone who has been living on the street for some time. Some homeless people have never lived in a financially stable manner. Financial training can help these people learn to manage their income so that they can become self sustaining. Once someone has a job and has saved money and become financially responsible, the next step is to acquire permanent housing. This can be difficult due to the fact that landlords may be hesitant to rent to the formerly homeless. Agencies can help homeless people find low rent, available options. In order for the formerly homeless to continue to self sustain, it may be important for them to have continuing case management as well. For those who are suffering from mental illness, for example, it can be beneficial to have regular counseling or visits from a medical professional to ensure that they are taking their medications. There are many different causes and aspects of homelessness, and many strategies and solutions for combating it. Homelessness Training Consultants can help to determine program priorities, train employees and volunteers, and identify particular program points which can be improved or given greater emphasis. They can also identify aspects of training, or homelessness issues, which have been overlooked in the community, and can, suggest resources to remedy that oversight.